I have written about the ethics of pharmacists selling homeopathic preparations pretending they are effective medicines often – not just on this blog, but also in medical journals (see for instance here and here) and in our recent book. So, maybe I should give it a rest? I believe that the issue is far too important not to remain silent about it. Conclusive evidence now exists  that homeopathy does not work. This is different from a lack of evidence for an effect; this is specific evidence that shows that this modality cannot and does not provide any of the purported benefits or mechanisms of action. Before recommending a therapeutic product, considers available evidence and supports the patient to make an informed choice and only supplies a product when satisfied that it is appropriate and the person understands how to use it correctly. It is not possible to adhere to this principle while also selling homeopathic and other non-EBM products – it is incumbent on pharmacists to always notify a patient that homeopathic medicines cannot work. Ranging homeopathic products therefore opens a pharmacist up to conflict of interest, where their professional judgement tells them that there is no benefit to a product, yet a patient wishes to purchase it anyway, even when advised not to. Not ranging a product is the only method of preventing this conflict. Pharmacists may also find themselves in position where the pharmacy they work in ranges homeopathic or other non-EBM products, yet they do not want to be involved in the sale or recommendation of these products. In this situation, it is important to remember that the code of ethics requires that a pharmacist does not undertake any action or role if their judgement determines that this is not the correct course of action. A pharmacist only practises under conditions which uphold the professional independence, judgement and integrity of themselves and others. This leads to the professional risk a pharmacist puts themselves in when recommending or selling a product that lacks evidence … any breach of the code of ethics can be the basis of a report to the Pharmacy Board for professional misconduct. If a pharmacist were to be referred to the Pharmacy Board for recommending a non-EBM product, pharmacists will be put in the position of having to justify their decision to supply a product that has no evidence, especially if this supply harms a patient or delays them from accessing effective treatment. In addition, it will not be possible to make a case defending the decision to supply non-EBM products based on pressures from employers wishes, due to Integrity Principle 2. Clearly, the use of Non-EBM products, including homeopathy, puts consumers at risk due to delayed treatment and the risk of unexpected outcomes. It also puts pharmacists at risk of professional and ethical reprimand. 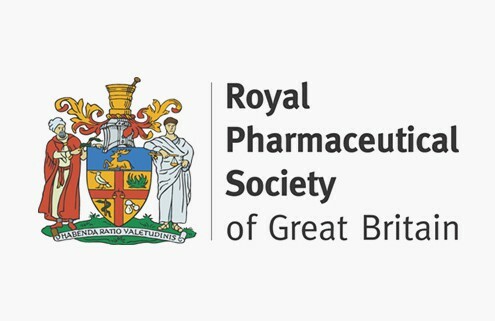 Relying on evidence, and having a working knowledge of how to access and assess this evidence, remains a critical part of the role of pharmacists in all areas of practice. I find this comment important: we all knew (and I have dwelled on it repeatedly) that pharmacists can put consumers at risk when they sell homeopathic remedies masquerading as medicines (while in truth they are placebos that cure absolutely nothing). What few people so far appreciated, I think, is the fact that pharmacists also put themselves at risk. Of course, you might say, this is a view from Australia, and it might not apply elsewhere. But I think, because the codes of ethics differ only marginally from country to country, it might well apply everywhere. If that is so, pharmacists across the globe – most of them do sell homeopathics regularly – are in danger of breaking their own codes of ethics, if they recommend or sell homeopathic products. And violating professional ethics must mean that pharmacists are vulnerable to reprimands. Perhaps we should all go to our next pharmacy, ask for some advice about homeopathy, and test this hypothesis! The NHS ban of homeopathy … and what the UK press made of it. Are UK journalists slowly learning? In my previous post, I reported that the NHS has included homeopathy and herbal medicine on the list of medications that might no longer get reimbursed. The news was reported by most newspapers in the UK. All of the papers correctly quote NHS England giving their reasons for black-listing homeopathy and herbal remedies. Some papers also quote critics of homeopathy providing short ‘sound bites’ and opinions. None of the articles bother to explain in any detail why homeopathy is so ridiculously implausible or how strong the evidence against it has become. In this post, I intend to analyse some of this press coverage by copying those excerpts from the newspaper articles which I find odd or misleading and by adding short comments by myself. THE DAILY MAIL claimed that homeopathic remedies are treatments using heavily diluted forms of plants, herbs and minerals. This is factually incorrect; think of remedies like X-ray! The Mail also quoted Don Redding, director of policy at National Voices, stating: ‘Whilst some treatments are available to purchase over the counter, that does not mean that everyone can afford them. There will be distinct categories of people who rely on NHS funding for prescriptions of remedies that are otherwise available over the counter. Stopping such prescriptions would break with the principle of an NHS “free at the point of use” and would create a system where access to treatments is based on a person’s ability to pay.’ This argument might apply to medicines that are proven to work; it does, however, not apply to homeopathy. THE INDEPENDENT cited Professor Helen Stokes-Lampard, chair of the Royal College of GPs, who said: “If patients are in a position that they can afford to buy over the counter medicines and products, then we would encourage them to do so rather than request a prescription – but imposing blanket policies on GPs, that don’t take into account demographic differences across the country, or that don’t allow for flexibility for a patient’s individual circumstances, risks alienating the most vulnerable in society.” Again, this argument might apply to medicines that are proven to work; it does, however, not apply to homeopathy. THE DAILY TELEGRAPH also reported the quote from Don Redding, Director of Policy at National Voices which I cited above. THE NEWS & STAR repeated the above quote from The Royal Pharmaceutical Society. THE TIMES also quoted the RPS and Don Redding misleadingly (see above and below) and concluded their article by citing Cristal Summer, chief executive of the British Homeopathic Association saying: Patients will be prescribed more expensive conventional drugs in place of homeopathy, which defeats the object of the exercise. The NHS also claims it wants to reduce the amount of prescription drugs patients take, then stops offering complementary therapies which can help achieve this. This clearly ignores the fact that ‘the object of the exercise’ for any health service must be to provide effective treatments and avoid placebo therapies like homeopathy. METRO pointed out that actress Gwyneth Paltrow, ex-Beatle Paul McCartney and world record sprinter Usain Bolt are all known to swear by homeopathic remedies. Generally speaking, the newspaper coverage was not bad, in my view. The exception evidently is THE TIMES (see above). Several other articles also have a slight whiff of false balance, introducing seemingly rational counter-arguments where none exist. Even though the headlines invariably focus on homeopathy, some of the quotes used by the papers are clearly about other medicines black-listed. This seems particularly obvious with the quotes by the RPS. Many readers might thus be misled into thinking that there is opposition by reputable organisations to the ban on homeopathy. None of the articles that I read quoted a homeopath at the end saying something like WE KNOW OF MANY PATIENTS WHOSE LIVES WERE SAVED BY HOMEOPATHY. JUST BECAUSE WE DON’T UNDERSTAND HOW IT WORKS DOES NOT MEAN IT DOES NOT WORK. A BAN WOULD PUT PUBLIC HEALTH AT RISK. Only a few years ago, this type of conclusion to an article on homeopathy would have been inevitable! Could it be that UK journalists (with the exception of those at THE TIMES?) are slowly learning? Isn’t it wonderful when your long-held views are confirmed by someone with influence? This, of course, is a rhetorical question – I can tell you: it is wonderful! In pharmacies, supermarkets and convenience stores, natural health products are displayed side by side with nonprescription drugs. Both tout their approval by Health Canada as an implicit endorsement of efficacy and safety on package labels that make similar health claims. However, although nonprescription drugs and their therapeutic claims require scientific evidence that is carefully scrutinized by Health Canada, natural health products have a separate regulatory system that typically imposes such minimal requirements that it is effectively a rubber stamp. Unlike nonprescription drugs, if a problem arises with a natural health product, Health Canada has little or no authority to compel any changes to its manufacture, labelling or sale. …If consumers are unable to separate products with no scientific proof behind them from products supported by evidence, then we need to separate them in stores. Natural health products should be pulled from the shelves where they are mixed with nonprescription drug products and confined to their own separate section, away from any signage implying a therapeutic use. The double standard perpetuated by both regulators and retailers that enables the deception of unsuspecting Canadians must end. Alternative medicines with claims based on alternative facts do not deserve an alternative, easy regulatory road to market — at the very least, they need to be moved to an alternative shelf. AUSTRALIAN JOURNAL OF PHARMACY (AJP) noted that the interim report of the Review of Pharmacy Remuneration and Regulation states that “there are unacceptable risks where community pharmacies are allowed to sell homeopathic products”. So, Canada and Australia are making progress in protecting consumers from bogus healthcare products and from pharmacists selling them. When, I ask myself, are the UK, the US and other countries following suit?